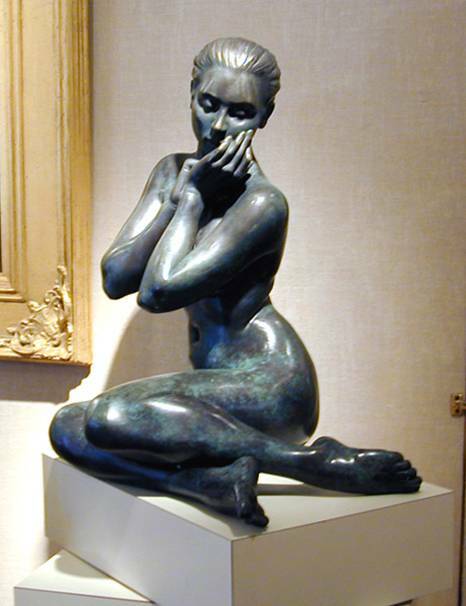 In early 1999 David Mackay Harrison, a renown bronze sculptor & artist, purchased a Foundry in Brisbane (Australia), one of two foundry’s in Brisbane producing his work. Born in Lismore, New South Wales, David Mackay Harrison is a formidable sculptor of the human body. His languid nudes possess a freedom of form that contributes to their appeal. His Reclining Lady with the heavy hair draped over her shoulders and falling onto the floor could almost rise up and walk towards you. Within the solidness of the bronze medium, David has created a unique sense of movement. The pointed finger of a ballet dancer resting between her steps, the lazy stretch of the young girl awakening or the posing preminando poised on a plinth appear not only life-like, but alive. It is in the subleties of movement that David displays his brilliance as a sculptor. Using life models he moulds initially in clay working and reworking to achieve the desired effect. His aim is to capture the femininity of his subjects. 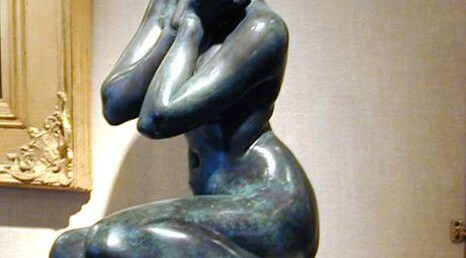 The female body is recognised as one of the most beautiful forms to sculpt and yet it is one of the most difficult. David’s observation and attention to every detail make him a master of his medium. His sculptures are incredibly tactile. Your initial urge is to stroke the sloping back and feel the curve of a rippling thigh, or sweep the hair away from a face to uncover a gentle smile. Aesthetically beautiful. David’s female figures demand to be gazed at. His animals also appeal to our senses. The cat curled up in a corner, chin on paws and ears flattened, the stately pose of the fierce rhinoceros or the anxious kitten ready to pounce find a perfect balance between stylisation and realism. They are executed with an amazing technical precision. The mottled surface of the bronze dances with varying degrees of light and creates a textured surface on his smooth sculptures.